Now showing in the RSM Art Gallery are the 2017 International Education Photo Contest winners and a selection of finalists. You have one more opportunity to vote for your favorite finalist (non-category winner)! Stop in to the gallery to cast your vote before 4:00 p.m. on Friday, November 17. The Bentley Votes Winner will receive a $50 Bentley Bookstore gift card and one lucky raffle winner will be chosen from those who voted to receive a $25 Bentley Bookstore gift card. Don’t miss this exhibit of spectacular photographs taken by Bentley University students, faculty, and staff! Finalists on display: May AlMarzouq, Donna Bacchiocchi, Kanika Banka, Caroline Brosnan, Allison Burns, Olivia Corriveau, Caitlin Derrickson, Phoebe Finn, Esther Hong, Panagiotis Magoulas, Ana Christina Machado Delano, Zyanna Ratansi, Anna Vellante, Feiyu Xiang, and BinBin Zhang. Now showing in the RSM Art Gallery are the 2016 International Education Photo Contest winners and a selection of finalists. Don’t miss this exhibit of amazing photographs taken by Bentley University students, faculty and staff! You also have one more opportunity to vote for your favorite finalist (non-category winner). Visit the gallery to view the photos and cast your vote through Friday, December 9th at 4:30 p.m. The Bentley Votes winner will receive a $50 Bentley Bookstore and one lucky raffle winner will be chosen from those who voted to receive a $25 Bentley Bookstore gift card. Finalists on Display: Kimberley Alias, Christopher Arrigg, Katie Chin, Jennifer Colombo, Carol Dirga, Abigail Eisner, Ekaterina Galkina, Charbel Hanna, Shuangyu Jia, Yana Levushevska, Robert McNulty, Brad Rothschild, Sofia Sadde and Shiyu Xu. 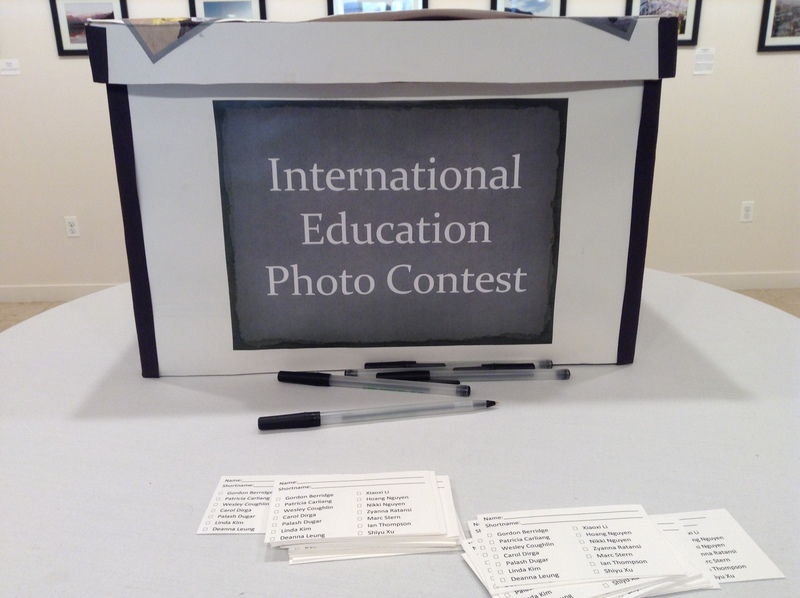 Now showing in the McGladrey Art Gallery are the 2015 International Education Photo Contest winners and finalists. You don’t want to miss this exhibit of breathtaking photographs taken by Bentley University students, faculty and staff! The category winners have been chosen, but you have one final opportunity to VOTE for your favorite finalist (non-category winner). Votes must be cast by Wednesday, November 18 at 4:30 p.m. The Bentley Votes winner will receive a $50 Visa gift card and one lucky raffle winner will be chosen from those who voted to receive a $25 Dunkin Donuts gift card.